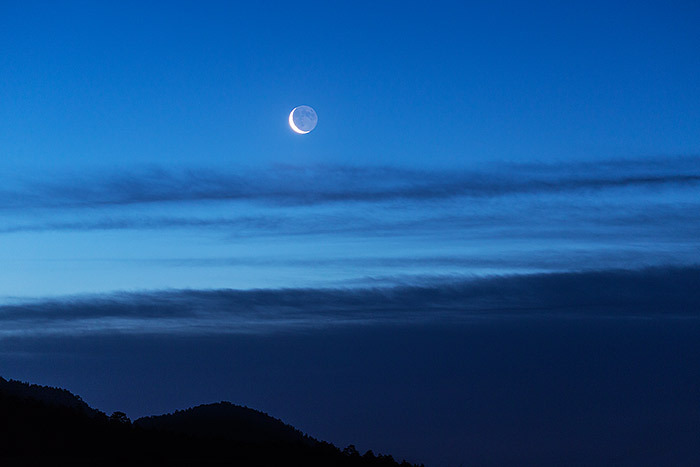 A crescent moon is seen rising above the cloud cover east of Horseshoe Park. It's early in the morning and the predawn blue light combined with the crescent moon transforms Rocky Mountain National Park and Horseshoe Park into a mystical and magical location. Photo © copyright by Thomas Mangan.